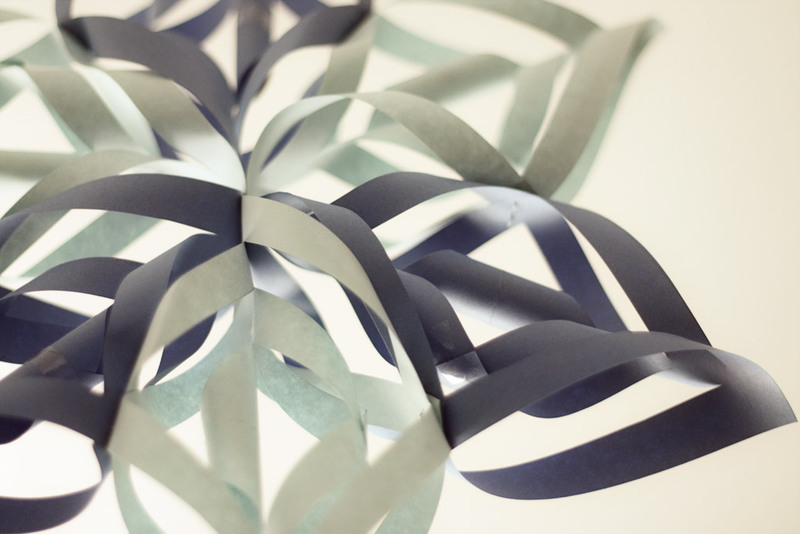 I have a bunch of these snowflakes hanging in my office. I made them for Christmas, but they’re too pretty to take down! I think they can just as easily pass for stars, so I’m going to make a bunch more in brighter colors so they look less wintery and can hang all year. My office has boring white walls that I can’t paint so these brighten it up considerably. Learn how to make them yourself here.